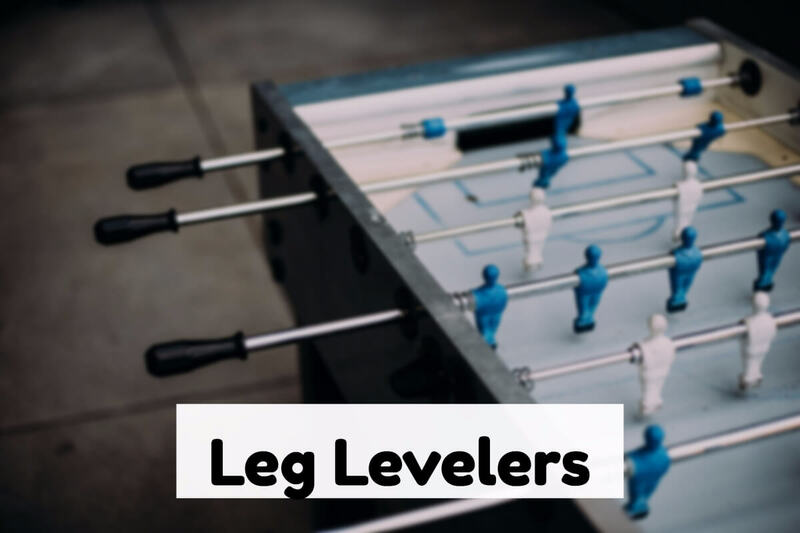 Foosball Table Leg Levelers - Find the Best One for Your Table! 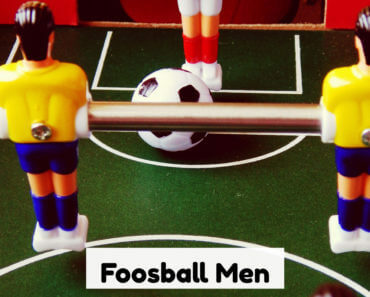 Foosball Table Leg levelers are a very necessary part of having a good game of foosball. If the table is set on the uneven ground your game will be off in a bad way and will not be enjoyed by all. It is important to know that, at any purchase you are thinking to venture, you may not want to look so much on the cost in relation to the reason you want to make this buy. If your purchase is for the children, a less costly table will suit them, as they will generally get tired of the game if they are not interested in the challenge. If you are a family of enthusiastic foosball players; then, it will be to invest in a GOOD table which will serve you for quite a long time. If you are interested in other accessories take a look here. Investing in a pricier table ensures the longevity of use and many years of fun. Cost is relative when you know the meaning of the foosball table to you. Experts will encourage foosball table purchasers to bear in mind the sturdiness of the legs and if they are manufactured with the prospect of replacement table leg levelers, being able to install them if and when the need arises; if none was there based on the Brand table; or, if there is no room for leg levelers installation should you choose. There are two types of tables with leg levelers, and they are the ones manufactured with the option for replacement; and the next is manufactured without leg levelers, but have the provision for installation of leg levelers, while, the third type of foosball table will need to use “Shims”. If you are not skilled with tools to make the necessary adjustments to the legs for them to be able to accommodate levelers, you need to employ an expert to do the work. 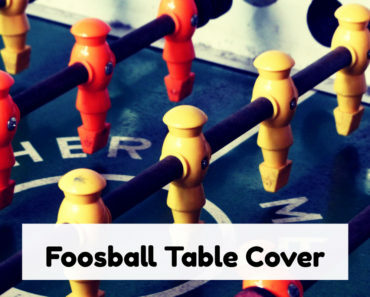 When purchasing a foosball table there are some features you must be able to spot in the table of choice. Firstly, the table needs to be made of sturdy material, preferably wood. Wooden tables will last longer and you will be able to get longer use from them especially if you are an avid player and love to entertain. Next, the surface of the foosball table needs to be solid, flat and engineered level so as not to have any dead spots during play. The next and most important thing is to look at the legs to see if they have leg levelers on them or if they have the accommodation for installation of aftermarket leg levelers. Another feature to keep in mind is the size of the foosball table legs; if the legs are square, sturdily built and have a powerful heft to the feel and appearance, then that is good; legs made with dimensions of 3.5 x 3.5 inches are good for providing you with the stability and firmness you need. If the legs are skinny, this means you will have issues with stability during rough playing. The table will be wobbly, dance and move around, even though you have ensured the leg levelers are applied correctly, and playing foosball on a skinny legged table also throws you off your game and prevents you from making intricate and difficult shots, especially if the table takes a time to settle. The tables already manufactured with leg levelers only require owners to simply screw or unscrew the levelers to the desired height so you are able to ensure the table is level. A level surface is a good point to work from, and so, many game room owners have the floors made from concrete. The basement is the perfect place to have your game room as it is generally made of concrete. Some game room owners will cover their floors with carpet to have a sturdier surface as well. Doing this does not ensure your surface is completely flat, but at least the table will have less chance of moving. It can be a bit nerve-racking to want to drill into your new and expensive foosball table legs, but if you want to have sturdy and level legs for playing it is indeed necessary. Some persons who do not have the skill may choose to engage a professional to do the job or just opt for an easier way of using shims. 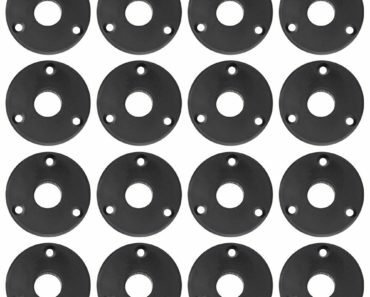 Shims for stabilizing or leveling the table may be time-consuming, but, they do work. Foosball Tables with flat legs may be more difficult to shim as it takes more shims to level the table as you may need to do some creative stacking of these shims to get stability. If the table already has adjustable legs you will need to screw them in firmly so you have an even standing on all four legs. Using the carpenter’s level, place it on all sides of the foosball table to see what level of unevenness you are working with to level the table. The bubble in the vial will shift to the highest point at whatever side you are checking. Using the Torpedo level, place it on the table surface and watch the direction the bubble swings in the vials so you know exactly how to manipulate and turn each leg leveler. Remember, whenever you are making the adjustments to always turn the leg leveler on the opposite side of the table, from where the bubble is moving towards to affect an accurate rise for leveling. Doing this job really takes two persons, as you need help lifting the table to make the required turns for leveling. If you are a “Do It Yourself” then here is where the blocks come in handy; shims are also just as handy in this situation. You place the blocks under the leg you are adjusting so you are able to make your counter-clockwise turns on the levelers. 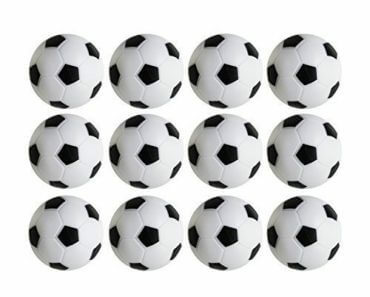 Do these continuous motions for all the required legs until the table is fully level for the position you plan to set the foosball table in your game room. Leveling your foosball table legs should not take you to have to do this on more than 3 legs. It is also important to note; however, you use your table if it is for high speed, rough playing, adjusting the table legs must be done every two weeks. If you play infrequently and measured style players are accommodated then, adjusting must be done once per month. It does not matter what kind of foosball table you buy whether a flat leg table or an adjustable leg table with leg levelers, as an investment it is important to ensure you service your table periodically and change the leg levelers whenever damaged.